Pocket trumpets are a great horn to get started with, they pack a rich and strong sound but don’t take half as much room as a normal trumpet. They also tend to be much cheaper. This lightweight horn is beautifully designed, it is not only ascetically pleasing but has a beautiful sound that contends with some of the higher end trumpets out there. Merano are known for their high quality horns and this pocket trumpet is no exception. 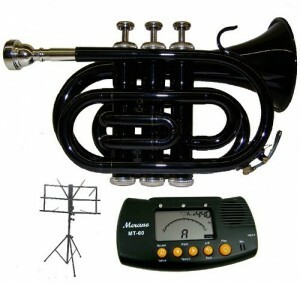 Merano trumpets are known for their sharp sound that will easily be recognised by other Merano owners. It will help you stand out from the rest of the band or your fellow trumpet players. Merano are an extremely trusted brand and come highly recommended by most music schools and tutors because of their reasonable prices and ease of use. 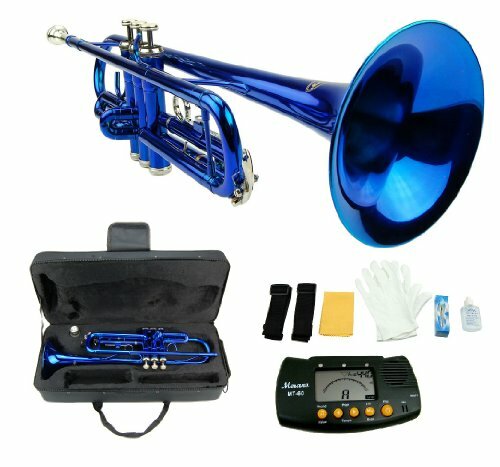 This pocket trumpets sleek black finish shows it is a professional trumpet that will help you stand out from the rest. 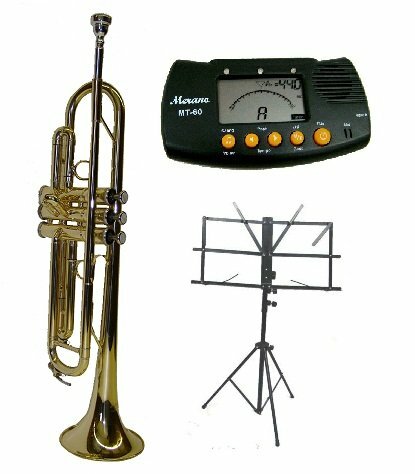 This stylish horn is perfect for playing on the go, it’s lightweight design means it can be carried around all day and you wont even realise you have it with you. Even with its small size and lightweight design this trumpet still packs a powerful sound so you wont ever have to worry about this horn under performing. Black finish, nickel plated pistons. Mouthpiece to bell is a total of just 11 inches. This terrific pocket trumpet comes complete with mouthpiece and case.